Lippincott, Inc., in North Haven, was one of the most highly respected fine-arts metal fabricators in the country in the second half of the 20th century. 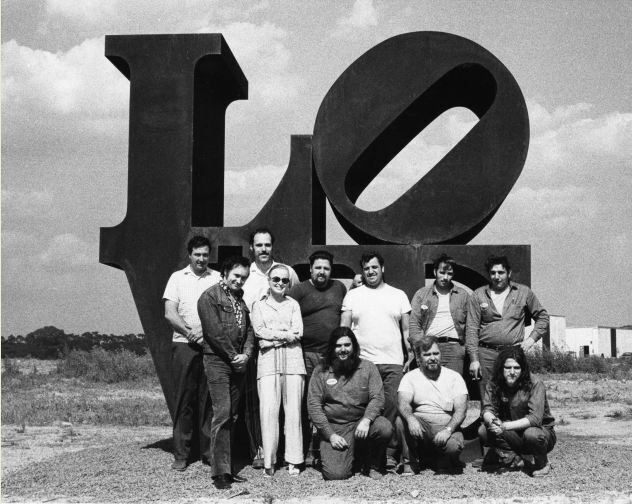 As one of the first companies to dedicate themselves to building large-scale sculpture, they provided the technical expertise to many of America’s leading artists from Claes Oldenburg to Louise Nevelson, Barnett Newman, Ellsworth Kelly, and Robert Indiana. Lippincott built the iconic works represented in this slideshow during the mid-1960s through the late 1970s. Part of the public art movement, this type of work grew out of the artists interest in exploring truly large scale sculpture, and in placing work outdoors. The founding of the National Endowment for the Arts in 1965 brought increased government and private support for public sculpture and the works were installed in public spaces across America. Many are still on view today. Lippincott, Jonathan. Large Scale: Fabricating Sculpture in the 1960s and 1970s. New York, NY: Princeton Architectural Press, 2010.